Is Pinterest a Good Choice for Your Business? You’ve probably heard a lot about Pinterest over the last few months. And you’ve probably heard that businesses are starting to use the new social media platform to market their products and services. How can businesses use Pinterest? Is it really worth all the hype? Pinterest is the fastest growing social media site…ever. While surfing the web users can bookmark sites by ‘pinning’ images to themed pinboards. 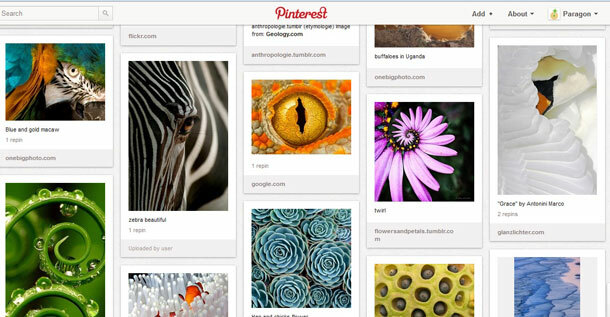 Users can also share their pins or boards with other Pinterest members, re-pinning and following their content. …And now your business can use Pinterest to promote awareness of products or services, learn more about its target market, and connect with new people. Is it a match for your business? The most popular topics on Pinterest are health and fitness, beauty and fashion, wedding and event planning, interior design and architecture, food and recipes, travel and nature, and art. Not surprisingly, businesses that market to young or middle aged women and have visually appealing products or services are doing very well on Pinterest. If either of these qualities describe your business, then the answer to the question in the title is most definitely a ‘yes’. However, there are plenty of examples of successful Pinterest marketing to users outside these demographics. And even if you aren’t lucky enough to be selling flowers and cupcakes or your professional services as a kitten photographer, there may still be a place for you on Pinterest. Take a look at what Sony, GE, and Blockbuster have done with their Pinterest boards. In March of 2012, Pinterest received over 2.3 billion page views. It also averaged about 4 million unique visitors daily. One of the benefits of using Pinterest is that it can be an immensely powerful tool for increasing awareness and gaining exposure. In a growing number of cases, Pinterest is driving more traffic to webpages than other social media and search engines including Twitter, YouTube, and even Google. That’s because images link back to the source where they were pinned. Like other social media, Pinterest also provides an opportunity to interact with your followers. And you can learn more about your target market’s interests by following their pins, too. Pinterest is still relatively new, offering its free services to members by invitation only. Requesting an invitation on their About page takes a few weeks- it’s much faster if you can get a current member to invite you. Would you like an invitation? Email me! Check out my post 12 Ways to Make Your Business Amazing on Pinterest. UPDATE 8/10/12: Pinterest now allows registrations without an invitation. You can visit their site, set up an account, and start pinning immediately. Say hello to us on Pinterest!